Come to St. Peter’s Lutheran Church and you will find Jesus Christ Himself, present in the Word and the Sacraments and the Salvation He freely offers to all who are called by Him. You will experience true, Christ-centered worship during Divine Service each Sunday; featuring texts of the ancient liturgy, substantive hymns, and readings and teachings from God Almighty’s life-giving Word. This rich heritage of the Divine Service passed down through the centuries allows us to “worship the Lord in the beauty of holiness.” and reminds us that “The Lord is in His holy temple, let all the earth keep silent before Him.” It is with a deep sense of awe and reverence we humbly receive His Word and Sacraments. St. Peter’s stands steadfastly against the modern church movement that has abandoned Christ-centered, bible-based practices in favor of man-centered hijinx, contemporary praise band jam sessions, and watered-down casual church so no one is offended. If your church has exchanged biblically correct for politically or casually correct, it’s time you take your stand with us, at St. Peter’s. Find what your soul needs here at St. Peter’s! The soul needs that which originates from God. It needs the Word of God. And traditional worship does that! Traditional Lutheran worship is properly called “Divine Service”. The emphasis in this is not our service to God, but rather God’s service to us. When you experience Divine Service in a Lutheran setting you hear one thing, and one thing only … what God has done and is doing for you! In that context we respond to Him with our praise of Him. And what is true praise of God? It’s not love songs that proclaim your love for Jesus. The highest praise of God is repeating back to Him the wonderful things that He has done in our salvation! 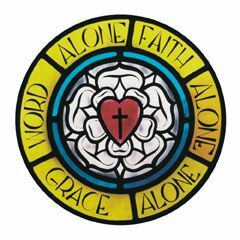 This you have opportunity to do in traditional Lutheran worship. We have nothing to offer God! Not even our hearts! God rather reaches down to us and gives us what we need, faith in Christ alone, and salvation that comes from Him alone. This you find in traditional Lutheran Divine Services. Do you want an enriching service from God? Or do you want empty entertainment? Visit St. Peter’s and see how satisfying to your soul God’s Word can be! St. Peter’s Lutheran Church of Warsaw is a new congregation of the Lutheran Church Missouri Synod. With lots of prayer and work, we joyfully received our charter from the Indiana District of the LCMS in October 2013. This charter officially recognized our congregation’s membership in the Missouri Synod. It also allowed us to formally call Pastor Barnes to serve our faith community. On Saturday, January 4th. 2014, Rev. Michael Barnes was installed as the first pastor called to serve St. Peter’s Lutheran Church of Warsaw.